Are you paying for more than just tunes? Siri doesn't always hand out useful answers to questions, but it always tries - or at least it used to. Now it seems that if you're not an Apple Music subscriber you'll get fobbed off if you ask certain questions, especially those relating to charts. Pandora co-creator Tom Conrad was first to tweet about this and we've given it a try ourselves with similar results. 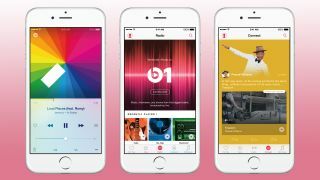 This makes a certain amount of sense as Siri won't have direct access to music charts if you're not an Apple Music subscriber, but it could hunt out the information in other ways, for example via a simple web search. It's not clear whether this refusal to help is intentional or not though, as many other musical queries do bring up web results. In fact, just replacing 'US' with 'UK' in the above query will lead to a far more useful response. Siri will also head to the web when asked "Which album is number one in the charts? ", but a query of "What was the most popular song in 2014?" or "What song is top of the charts in the US this week?" leads it to remind us that we're not subscribed to Apple Music. So it seems strangely inconsistent, though US-related queries appear less likely to come back with a proper answer than UK ones. In any case, hopefully whether it's a bug or intentional Apple will probably patch it now that it's made the news. We just hope Google Play Music doesn't start doing the same on Android.